This past fall, DMC facilitated two pop-up community sessions to gather public input about Discovery Walk – one at Mayo Clinic’s Harwick Building and the other at People’s Food Coop. Engagement was strong during each of the sessions. 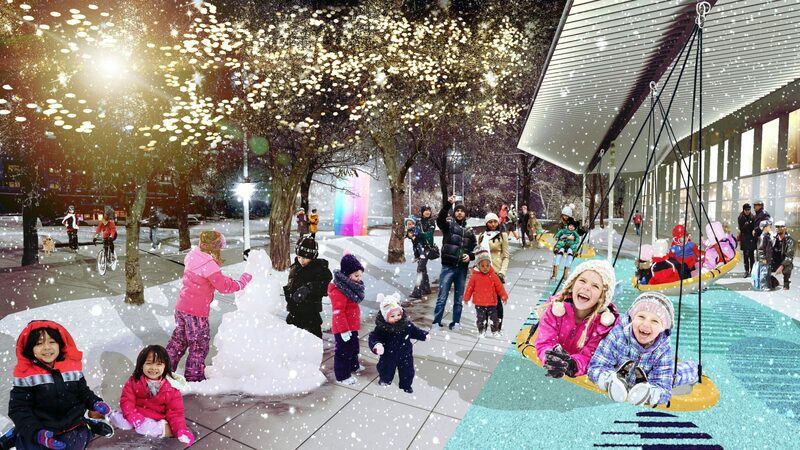 Generally speaking, people expressed excitement about having more places to gather and play, increased food options (especially food trucks), and more incorporation of nature and art into the urban landscape of downtown. The Design Team spent the last few months integrating this feedback into schematic design concepts. This week, though the project is still in the visioning stage, more than 40 people gathered at Gallery 24 to hear the latest ideas for Discovery Walk, explore the design concepts, and provide additional input. The stretch of real estate will also be a physical connector between two DMC sub-districts. 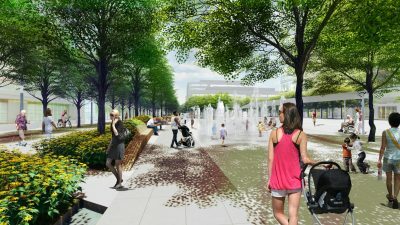 “You can look down from the Gonda Building in Heart of the City or up from Soldiers Field and see an inviting street that’s been reimagined as a park,” Buggy said. 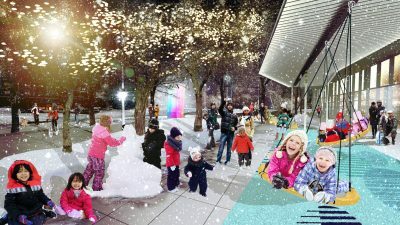 Intended to complement rather than compete with other buildings or activations, Discovery Walk will be an important piece of downtown infrastructure for decades to come. The Design Team took time at the close of the meeting to solicit feedback and answer questions from the audience, gauging reactions about the design concepts presented, discussing the long-term activation of the space, and noting logistical concerns that tend to arise with any project of this scale. Stay tuned for more public engagement opportunities as the plan evolves in the coming months.